In nature ‘peacock-ing’ is a traditional way to stand. In crowded places, PUA’s rely on their appearance to get noticed often using outlandish clothing. On its own it’s not enough to seal the deal but it is very effective at catching the eye. Think about this when choosing your brand identity. But the emotional state you are in also has a powerful effect on other’s feelings – the more positive and dynamic your personal emotional frame, the more your presence will be noticed. The beliefs you express and the stories you tell position your character in the minds of prospects. Authenticity is key but the messages must demonstrate strength of character, authority and discipline. The company you keep, either in the room or in the stories you tell, also have an effect on building value especially if they make you seem valued by others. Coming across as “in demand” boosts scarcity value whilst being prepared to walk away, and sometimes doing so, demonstrates high self worth. Enduring commercial relationships are built on the same principles as intimate ones: it’s all about emotional connectivity. PUA’s are effective at developing this, using both verbal and non-verbal communications to rapidly make a prospect feel a strong emotional bond. Asking good questions, exploring feelings, showing understanding, reading body language and knowing when to move to the next phase are important skills needed to succeed. But tonality, mimicry, body language and the use of words and subliminal commands are powerful influencers on decision making because they bypass the conscious mind. What makes a business or person much more interesting to others is its reason to exist. And the braver, the more interesting or socially valuable this is, the more compelling it will be to others. And when a firm stands for something greater than financial enrichment, it helps deepen connections with others and make you seem more distinctive. Most firms don’t understand the power of purpose and the emotional effect it has on everyone who finds it motivating. But it really has to be authentic to be credible. In the early days its easy to allow others to tell you what to do. Market experts, customers, partners, marketing agencies, everyone has an opinion. Now, listening is important, especially when it comes to working out your place in the world or your tactics for improving your position. But steadfastness and resolve, perseverance and belief in the mission are important signals to prospects. They frame your behaviours and make them seem coherent; they demonstrate commitment to a higher purpose and they communicate reliability and stability, all of which makes you more dependable and reliable to others. Which in turn allows prospects to commit to you. Personally I find the PUA world seedy and distasteful but the psychological techniques they use are well established and proven at engaging others. So long as they are used with respect. 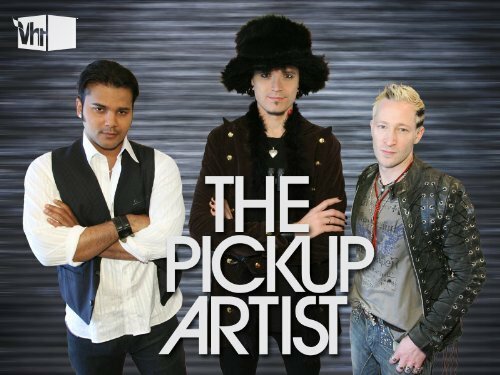 Footnote: I came across the world of Pickup artists a few years ago when searching online for academic papers on non verbal communications. Albert Mehrabian’s work was a good starting point, Paco Underhill’s retail studies also but the seedy world of the pick-up artist showed how psychological and evolutionary economic principles were being used by them. As I live with six women already, I have no incentive to try these techniques out for myself.